Ads By Gameslava is nothing more than yet another adware application that should be removed from your operating system at the very same time that it is found up and running on your personal computer. We highly advise you to do so since the ad-supported program in question is well known to cause major disruptions almost every single time you decide to surf the web. Unfortunately, the user is not informed about such functionality on the official website of this adware program; instead, it is advertised as a great tool that you should use to gain quick access to online based games. If you wish to avoid all the interferences caused by this ad-supported program, you must take immediate measure to delete it since it is the only way to regain the default functionality of your web browser. Do so by following the detailed instructions that we present below since they are easy to use and will allow you to remove Ads By Gameslava in just a few easy steps. It is critical to note that Ads By Gameslava will likely start its devious functionality right after it gains full access to your operating system. It is important to note that you will not receive that quick access that you are promised. In reality, this ad-supported program will only make your online experience an annoying and invasive one. This happens because you will start seeing an unusual amount of third-party web content. In the majority of cases, such content will manifest itself as various third-party commercial ads, pop-ups, and coupons. Unfortunately, all intrusive content is presented to you in an absolutely random manner, which makes having this ad-supported application active on your PC even more annoying. In some instances, you might be provided with so many of devious ads, pop-ups, and coupons that surfing the web might become a virtually impossible task. In some cases, your web browser could simply crash due to among of coupons, pop-ups, and adds. It should be quite obvious that having Ads By Gameslava on your personal computer only has negative effects. Do not hesitate and delete everything related to this adware application by following the removal guide that we present below. It is critical to maintain a fully secure operating system at all times. To do that, we highly advise you to take a few preventative steps to improve your overall virtual security. First and foremost, make sure to install a professional antimalware tool on your PC if you do not have one already. Such a tool is an imperative part of your overall virtual security since it can detect and remove any suspicious program in advance. In addition to such a tool, we highly advise you to practice safe browsing habits. This is critical since in quite a few cases Ads By Gameslava is distributed via bundled installers. By avoiding questionable third-party download websites, you will be able to significantly reduce the risk of infecting your PC with some suspicious program. Last, but not least, make sure to learn as much as possible about the program that you wish to run before even downloading it. This is important because quite a few developers nowadays use deceiving marketing strategies to trick unsuspecting users into downloading their suspicious software. These simple steps will allow you to keep your personal computer safe and secure at all times. 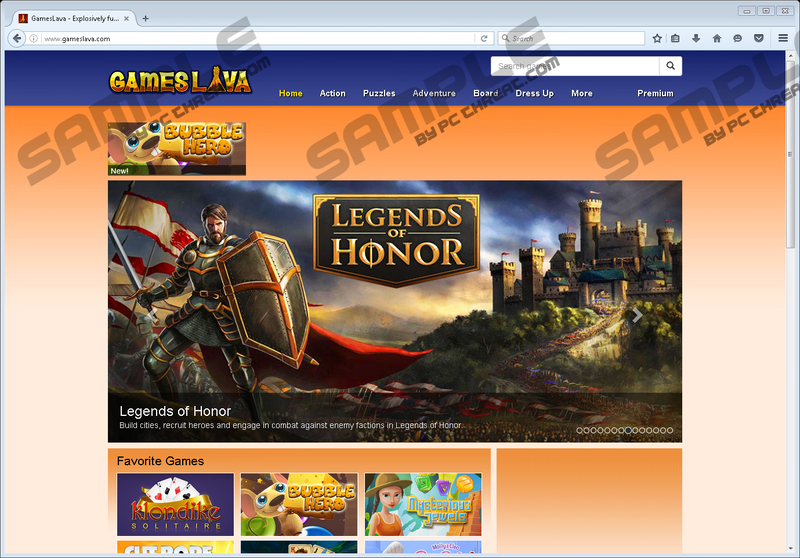 Do not take any chances with Ads By Gameslava as it holds no beneficial features whatsoever. It is critical to note that the complete removal of this adware program must be removed from your PC with extra care since a single mistake could prove to have unwanted consequences. In some instances, the ad-supported application in question could turn out to be restored silently due to just a few leftover files or registry entries. To be sure that everything associated with Ads By Gameslava has been removed from your PC, you need to execute an in-depth analysis of your personal computer. Also, you can scan your entire operating system with a reliable antimalware tool as it can pick up and delete any leftovers linked to Ads By Gameslava in an automatic manner. Select and then delete a folder called Gameslava. Type regedit into the search box and select it. Select a registry entry entitled Gameslava and then remove it. Quick & tested solution for Ads By Gameslava removal.